Turkey hunting has been a passion of mine since the first time I experienced it in the spring of 1993. 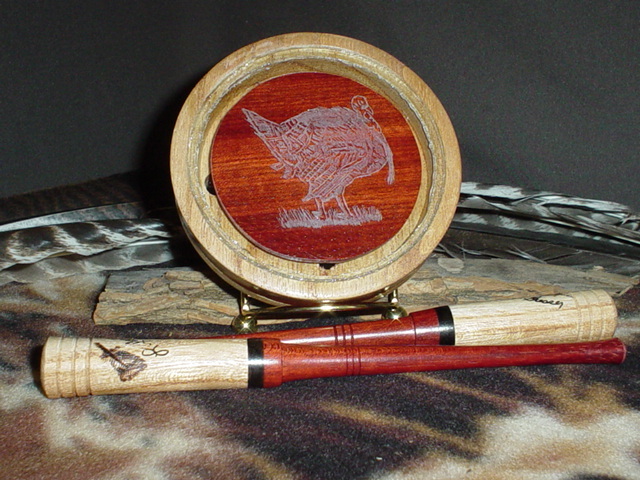 In 1994 I made my first turkey call. It was a small square slate type call and it didn't sound to bad at the time. The next call I decided to make was a small single sided box call that I still make today with very few changes in it. I call that call the "One Way Hen". I am a Diamond Life Member of the NWTF and a supporter of Ducks Unlimited and other grass root conservation groups. My love of the outdoors and passion for working with wood has brought to me a pleasure that I just can't shake. So I bring to you, the Sportsman, the very best handcrafted game calls you can find. 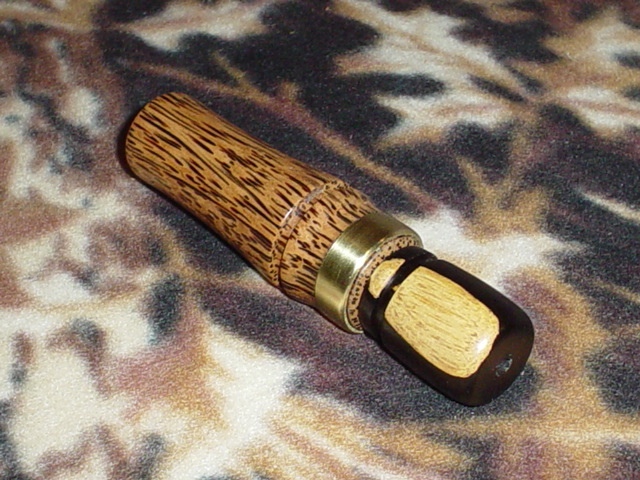 I make everything from Turkey calls & locator calls, Deer, Duck, Goose, and even a few predator calls from time to time. My calls have appeared in many of todays hunting magazines such as "Turkey Call" and "Sporting Classics" as well as Earl Mickels "Last Book" and John Hoods book "Todays Call Makers". So if your into hunting or just a collector of hand crafted items be sure to check out what I have available and add it to your collection. Thank you! What you will see now are calls that will be in stock and no waiting to be finished ready to be shipped immediately. I know the most popular calls that I get request for so I will try to make those and have those on hand when ever possible. If you have a special request For a custom made call please don't hesitate to call or email me. Thank you for all your support.